You don’t want to miss this. More than 30 performers –including some of the most prominent actors in Canadian theatre and television – will be participating in Holler 4 Health Care March 31st in Toronto. 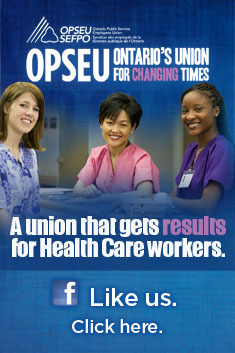 March 31st coincides with the end of the 10-year health accord between the provinces and the federal government. All across Canada citizens are calling on the federal government to sit down with the provinces to secure a plan for the future of health care. 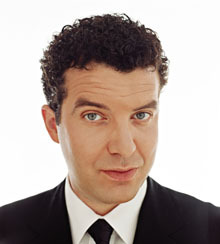 Rick Mercer will appear via video at the event. The high-profile line-up for the evening includes Shirley Douglas, Fiona Reid, Brent Carver, Jayne Eastwood, Robin Duke, Art Hindle, Jackie Richardson, and Michael Therriault (who played Tommy Douglas in the CBC mini-series Prairie Giant). Videos of remarks made by Rick Mercer and Kiefer Sutherland will also be shown. Comedians Amy Matysio and Adrian Truss have recently been added to the line-up. Other performers include John Alcorn, Ben Bass, Mary Lou Fallis, Kathryn Greenwood, David Huband, Tabby Johnson, Ray Landry, Jani Lauzon, Napalm-the-Magnificent, Judy Marshak, Nora McLellan, Andrew Moodie, Teresa Pavlinek, The Polka Dogs, Julian Richings, Rick Roberts, John Roby, Mike Ross, Viva! Youth Singers, David Warrick and Nancy White. The organizers say the evening will be a “musical, comical, political rally filled with merry maladies and maladie melodies.” Once we figure out what that means, we’ll let you know. The event takes place at the Trinity St. Paul’s United Church Centre, 427 Bloor St. W. beginning at 8 pm. Tickets are on a sliding scale from $12 to $20, $25 at the door. To order tickets on-line, click here. If the theatre is not your thing, the Ontario Health Coalition is also organizing a noon-hour rally at Queen’s Park on the same day. Come and make some noise to send a message that Canadians deserve better. Both events are part of the Canadian Health Coalition’s call for a National Day of Action on the health accord March 31st.